Bloom Road Consulting Group, LLC (BRC) is pleased to announce that Adam Bloom, Application Analyst passed his examinations with flying colors and is now certified in Epic 2014 Clarity Data Model-Resolute Hospital Billing. Adam joins Business and Contract Senior Analyst, Lori Mills as the second person at BRC to attain this achievement. Adam began working at BRC in 2005 where he has been providing contract coding support for Medicare, Medicaid and Tricare regulatory contracts. He excels at data integrity migrations from one system to another. 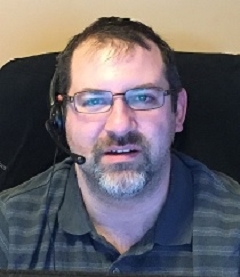 Adam is proficient in Crystal Reports writing and conversions; and SQL queries for business and systems analysis. His expertise extends to Ascent, Epic, PIC, JDA Parathon, NTT and other contract management systems.